The January transfer window is just over two weeks away from opening and Manchester United have been linked with the signing of a number of players. One of those has been unsettled Chelsea attacker Willian. The Brazilian is reportedly frustrated at the lack of opportunities under Antonio Conte. The former-Shakhtar Donetsk right winger has only started eight of Chelsea’s 17 Premier League matches to date and even then that has been helped by injuries to Eden Hazard and Alvaro Morata. Last season the 29-year-old only started 15 games in Chelsea’s Premier League title success. 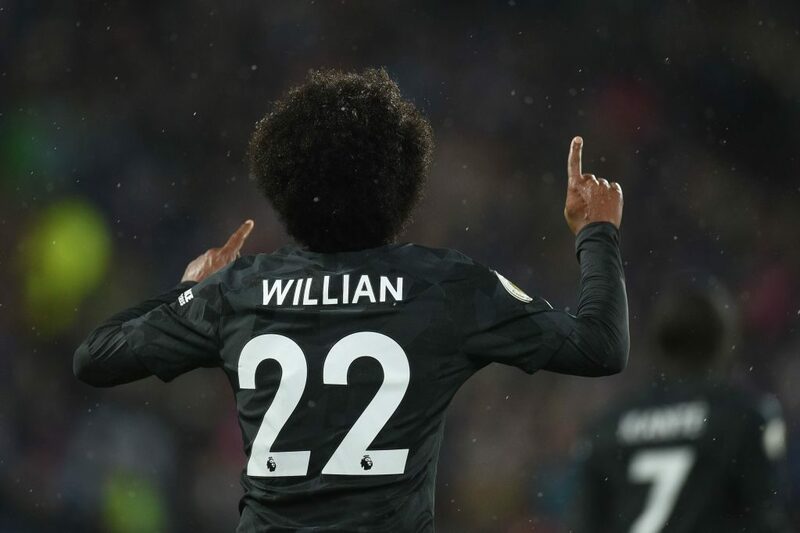 With the World Cup commencing at the end of this season it would be understandable if Willian wanted to leave Stamford Bridge next month. According to the Daily Mail, we have made an enquiry to Chelsea over the availability of the frustrated player. The article does not name a price that we could be expected to pay for Willian’s services. However, for us to sign Willian it may take a combination of an extraordinary offer and Chelsea finding a replacement. After Eden Hazard and Pedro in their starting lineup, they are limited for options in this position. Potentially Victor Moses with Davide Zappacosta finding more playing time in the right wingback position but otherwise they’d be looking at youth and inexperienced players without signing a direct replacement. Jose Mourinho originally brought Willian to Chelsea back in 2013 at the start of his second spell at Stamford Bridge. After his first season in England, the Brazilian became a regular in Mourinho’s first team during his stay. This season we have used Juan Mata, Jesse Lingard, Marcus Rashford and Henrikh Mkhitaryan down the right wing with the boss seemingly not settled on either option. Mata has never seemingly been in Mourinho’s good books whilst Lingard has been much better in the number 10 role. Rashford is more commonly used on the left wing or up front and Mkhitaryan is completely out-of-favour currently.